That means that, for example, if you double the temperature, you will double the pressure. If you halve the temperature, you will halve the pressure. 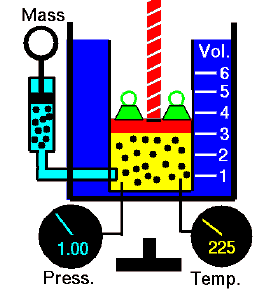 For a fixed mass of gas at constant volume, the pressure is directly proportional to the Kelvin temperature. Source: grc.nasa.gov NASA copyright policy states that “NASA material is not protected by copyright unless noted”.